A 1935 Aston Martin Ulster Two-Seater Sports – a Le Mans works entry – is the leading car at the Bonhams Paris 2017 Rétromobile week auction. Million-dollar results are also expected from a 1955 Mercedes Benz 300 SL Coupé and a 1957 Bentley S1 Continental Cabriolet. The seventh annual Bonhams Grande Marques du Monde au Grande Palais sale in Paris during the Rétromobile week will be held on 9 February 2017. A 1935 Aston Martin Ulster Two-Seater Sports, estimate €1,600,000-€1,800,000, is the leading entry for the Bonhams Paris 2017 auction. The car comes with an impressive in-period competition history and has also bee raced extensively in modern-era historical races. The 1935 Aston Martin Ulster Two-Seater Sports was the 1935 Le Mans 24 Hours works entry where it was raced to fifth in class, and tenth overall, by Trehorne Thomas and Michael Kenyon. Subsequent private owners raced the car extensively before and after the Second World War. More recently, the Ulster competed in the Historic Mille Miglia in 2004, 2005, and 2006. 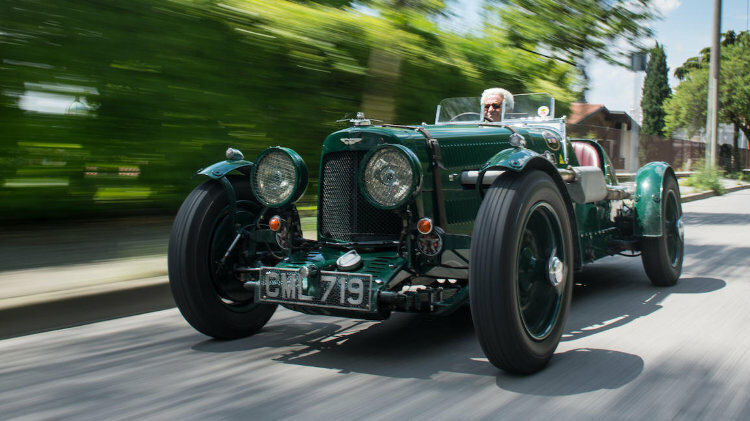 Only 31 Aston Martin Ulsters were ever built, of which ten were team cars. Remarkably, 28 of these cars survived. A beautifully restored red 1955 Mercedes Benz 300 SL Gullwing Coupé, estimate €1,100,000-€1,300,000, is the second highest rated car on offer at the Bonhams Paris 2017 sale. Although 300 SL prices have been weaker in recent months, the better cars still easily exceed a million dollars despite many being available – Artcurial will offer a roadster and another “papillon” during the same week. The 1955 Mercedes Benz 300 SL Coupé is a matching numbers Gullwing and had only five owners since new. It was restored in 2004 and won best-in-class at the 2011 Schloss Dyck Concours. The imposing 1957 Bentley S1 Continental Cabriolet, estimate €1,000,000-€1,500,000, is one of only 31 left-hand drive drophead coupés made. The Bentley had only three owners since new and the current owner had driven the car or around 14,000 miles in the past eight years. 1939 Maybach SW-38 Spezial Cabriolet, estimate €750,000-€950,000 – a rare convertible example of the “smaller” Maybach made shortly before the Second World War. 1972 Ferrari 365 GTB/4 Daytona Berlinetta, estimate €620,000-€680,000 – at least 16 were available at auctions in 2016 with two selling above a million dollars. A further four are on offer at Scottsdale 2017 while at Paris 2017, RM Sotheby’s and Artcurial will each offer one with RM Sotheby’s also having a more expensive Spider available. 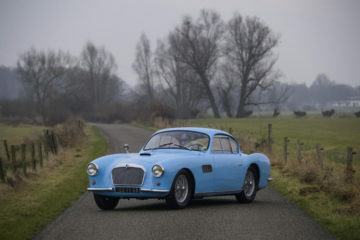 1958 Talbot-Lago T14 America Coupé, estimate €450,000-€550,000 – one of only around 12 made with a BMW V8, 2.5 litre engine in an (unsuccessful) attempt to crack the American market. One of the last cars made before the marque disappeared from the market. 1962 Jaguar E-Type 3.8 Litre Semi-Lightweight Competition Coupe Hardtop, estimate €250,000-€350,000 – built by Classic Restoration Services in 2015/2016, it will be interested to see how the result compared to the real thing on sale at RM Sotheby’s Scottsdale 2017. 1893 Benz Victoria, estimate €20,000-€30,000 – the oldest car on offer but the dating is unconfirmed.